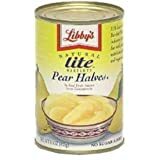 Save on Pears at Love for Salad. Top brands include Roland, Libby's, Savor, Dole, & Gefen. Hurry! Limited time offers. Offers valid only while supplies last. 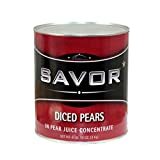 Dole Diced Pears In 100% Fruit Juice Gluten Free Non GMO 16 Oz. Pk Of 3. 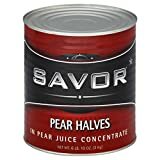 Gefen Pear Halves In Heavy Syrup 15.25 Oz. Pack Of 3.